Triumph, one of the world´s leading intimate apparel companies, has been around for over 130 years, becoming larger and more international by the decade. Such a long period of success is only possible with a keen sense for fashion and excellent insights into the desires and needs of our consumers. Beautiful designs, advanced textile engineering and unparalleled innovative power have always been achieved with an experienced and motivated community of employees around the world – they are the true “Makers of Lingerie”. Therefore, we continuously strive to recruit new talent, offering them one of the textile industry’s most international working environments, excellent conditions and great development opportunities in a company still owned and managed by the founding families. 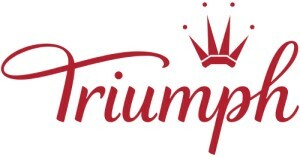 Today, Triumph International employs over close to 30,000 men and women in 6 continents, with an annual turnover of 1.57 billion Swiss francs (2015) and a multi-facetted product palette that is sold in 120 countries. For our brands Triumph and sloggi, we develop, produce and market underwear, shape wear, sleepwear and swimwear. We serve 40,000 wholesale customers and sell our products in 3,600 controlled points of sale as well as via several own online shops. We manufacture in high-tech and socially compliant production facilities, many of them owned and operated directly by us, using environmentally friendly and energy-saving production methods and the most modern and skin-friendly material. We are also a member of the Business Social Compliance Initiative (BSCI).